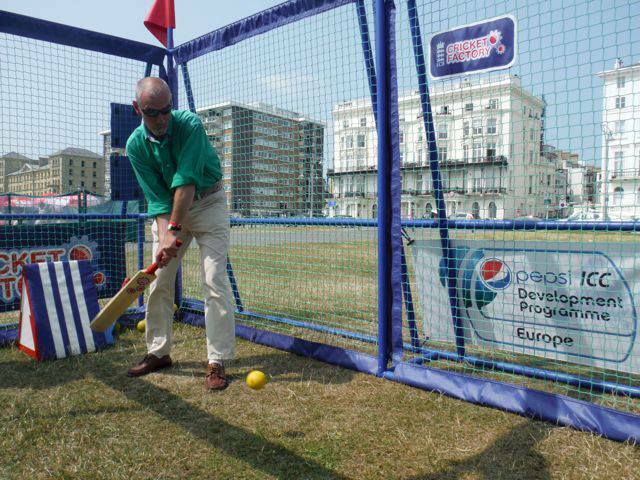 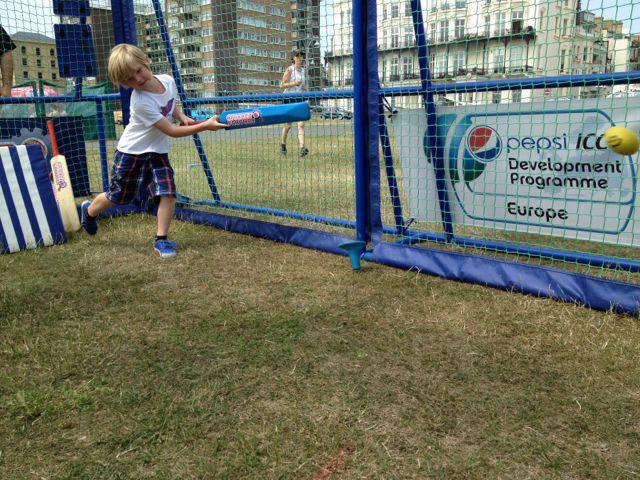 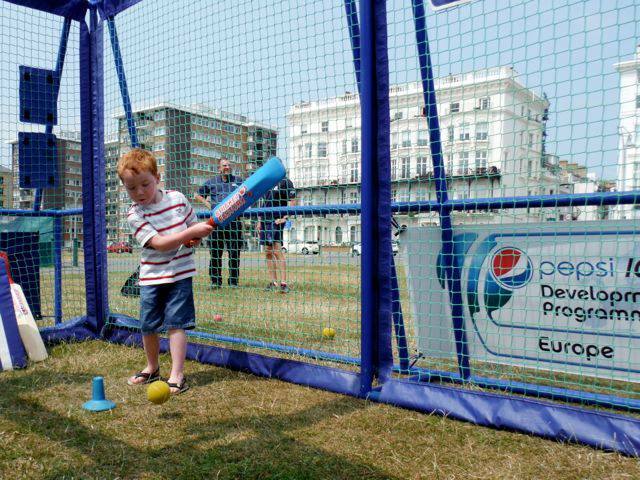 ICC Europe utilised the Factory Eleven Cricket Factory to host a ‘come and try cricket skills and drills session’ on the Hove Lawns, Brighton to promote the Pepsi ICC European Division 1 Finals Day at the Sussex County Ground. 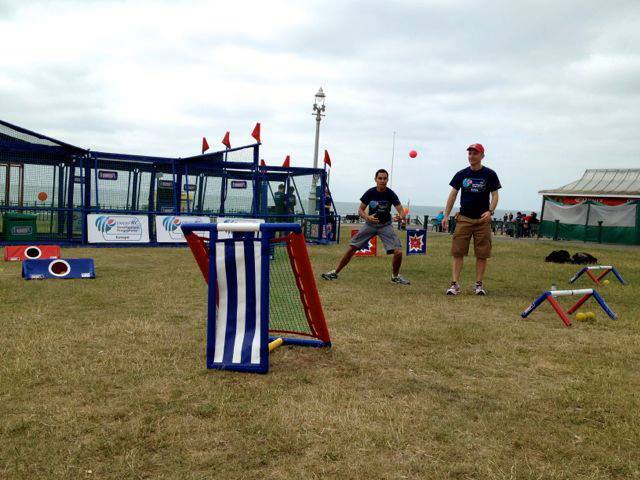 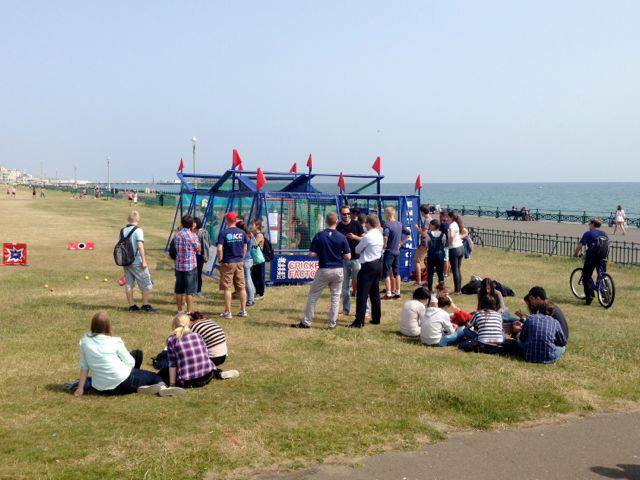 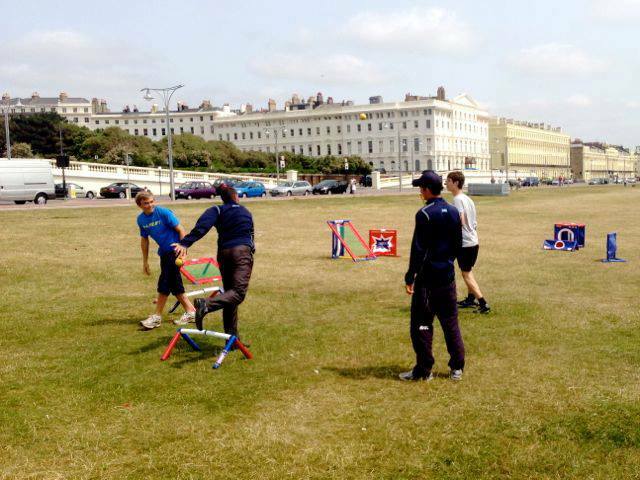 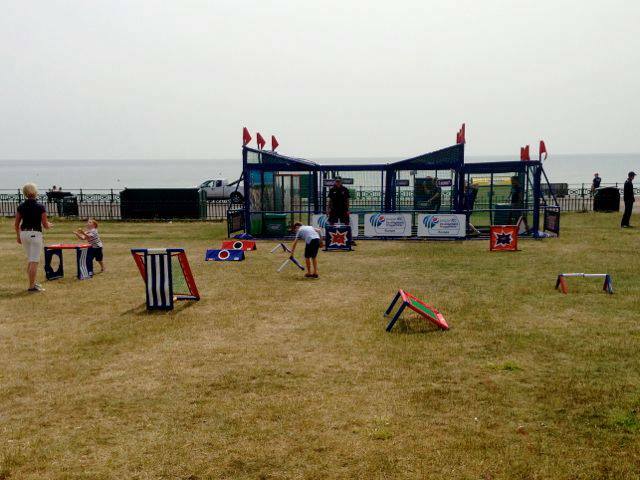 Language schools in the area and the local community were invited to the Hove Lawns to undertake cricket activities in a fun inclusive environment along the sea front. 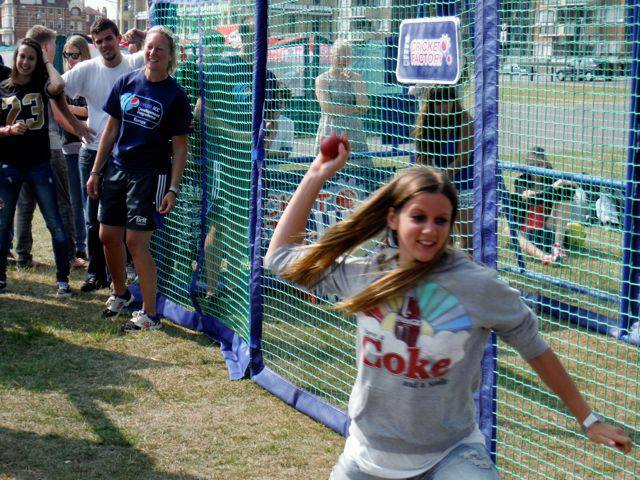 Many young people and adults joined in the Cricket skill challenges and found out more about the game of cricket.